This brand has just arrived here late last year but they've been in the UK for 6 years+. 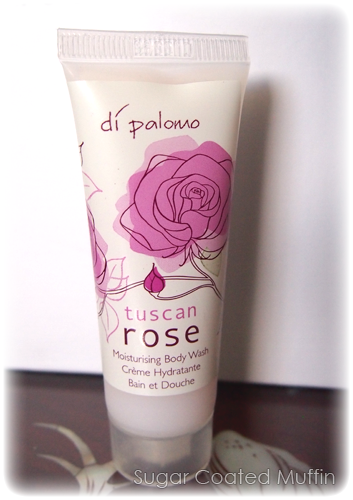 The Tuscan Rose Moisturising Body Wash is a rich, luxuriant body wash formulated using the finest ingredients. Added moisturisers like Pro-Vitamin B5 keeps skin smooth and supple. Although I only received a small 25ml bottle, I like it! The lovely smell of roses envelopes me and lingers close to my body. I imagine it'll be a lovely delight for your loved one to get close and find this sweet surprise. It has a slight purple-pink colour which makes it even more of a delight to use. 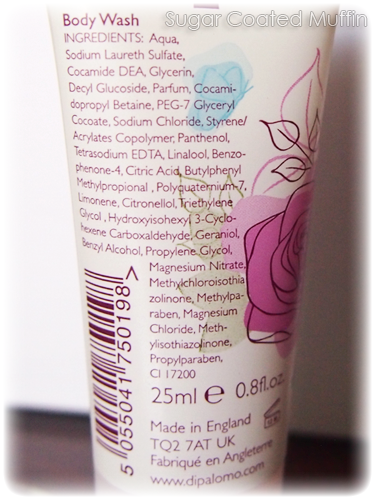 Lather goes on smoothly and it has a luxurious silky feel. You can find the entire Tuscan Rose range HERE. They even have Eau de Parfum, Body Butter, Hand & Nail Cream, the stuff for bubble baths and more! Sadly, I don't have a bathtub T_T But I spotted a Body Butter under the Orange Blossom range that just sounds amaaaazing. You can find the products online as well but the Tuscan Rose range is not up yet.